The area bounded roughly by Delmar Boulevard on the north, I-44 on the south, and the Mississippi River and western city limits on the east and west respectively, makes up what I call Central St. Louis. Some people consider portions of it North or South St. Louis. 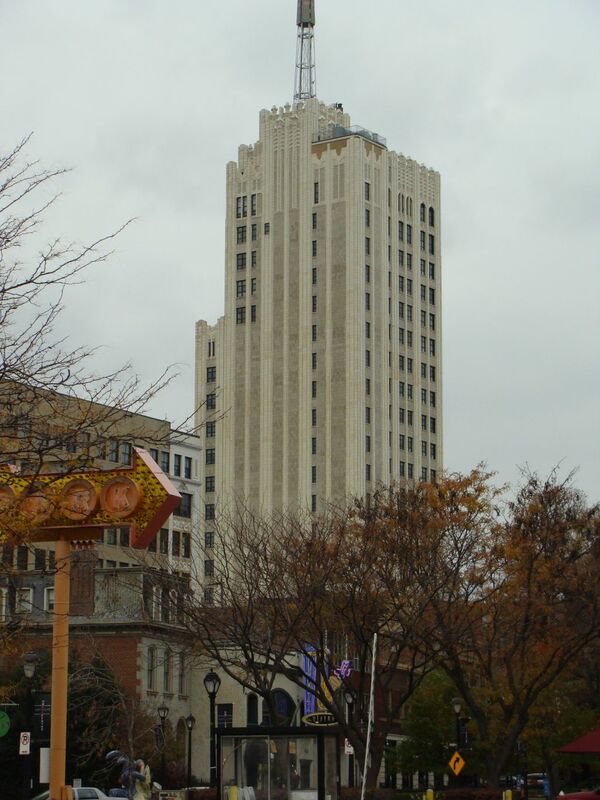 The area has always been the heart of the city, serving as the location of the downtown and Grand Center, the city’s second downtown, as well as the neighborhoods where the wealthiest St. Louisans have lived over the last two centuries. 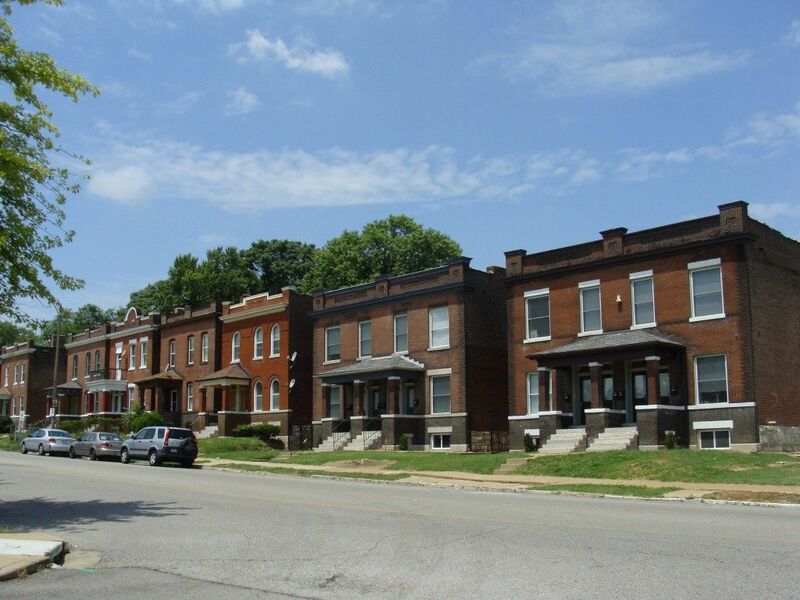 Likewise, it also featured the enormous Mill Creek Valley, the heart of African-American St. Louis, and its demolition during urban renewal both wiped away some of the oldest housing stock in the city while simultaneously upsetting the city’s shameful but tenuously balanced racial segregation. I have included Downtown here as a part of Central St. Louis, but readers should turn to the much greater detailed and informative page for the central business district. Read about Downtown; see it on the map. 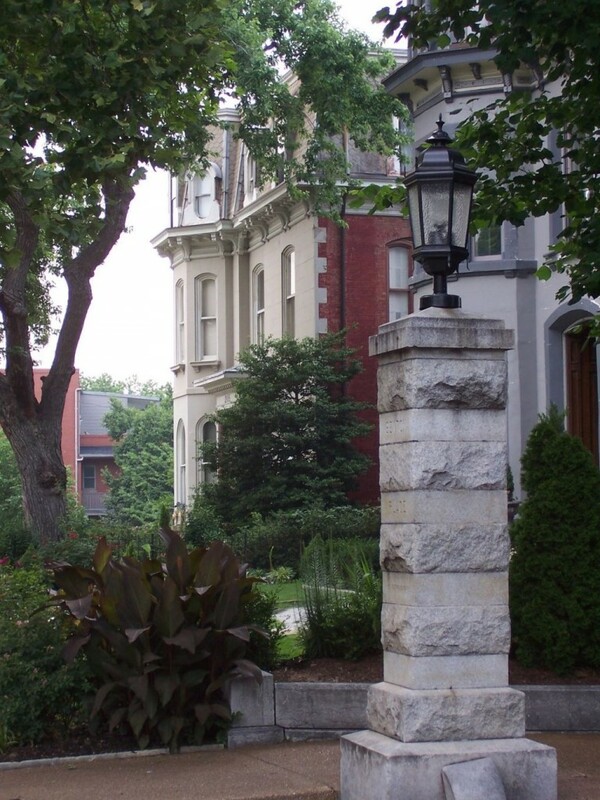 Sited on top of a hill southwest of the original core of the city, Lafayette Square saw development occur after the Civil War as Italianate and Second Empire mansions sprang up around the park in the center of the neighborhood. Saved from demolition for a proposed trucking depot after the city’s wealthy moved on to Midtown and the Central West End in the early Twentieth Century, the neighborhood is perhaps the best example of urban renewal in the city. Again threatened by the eventually aborted 755, this area of the city showcases the wealth of Nineteenth Century St. Louis. 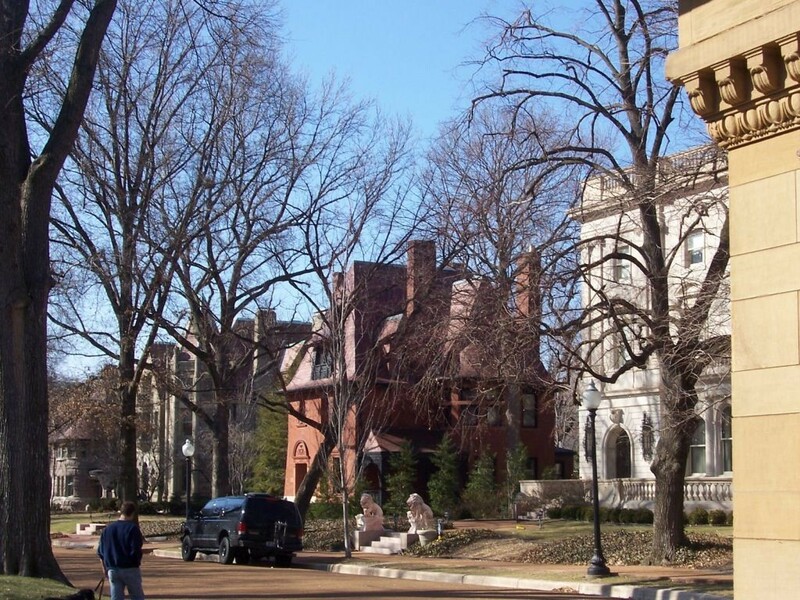 Read about Lafayette Square; see it on the map. 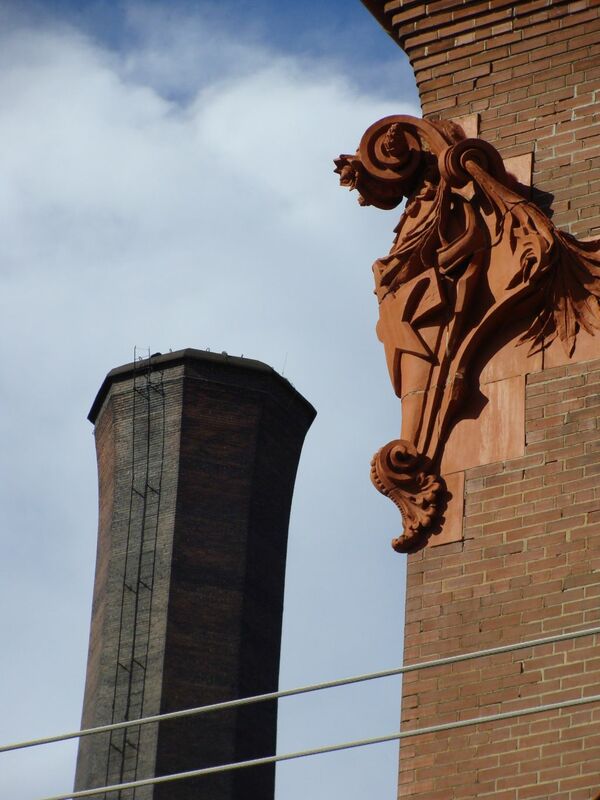 McKinley Heights takes its name from the beautiful Ittner-designed high school of the same name on Russell Boulevard. 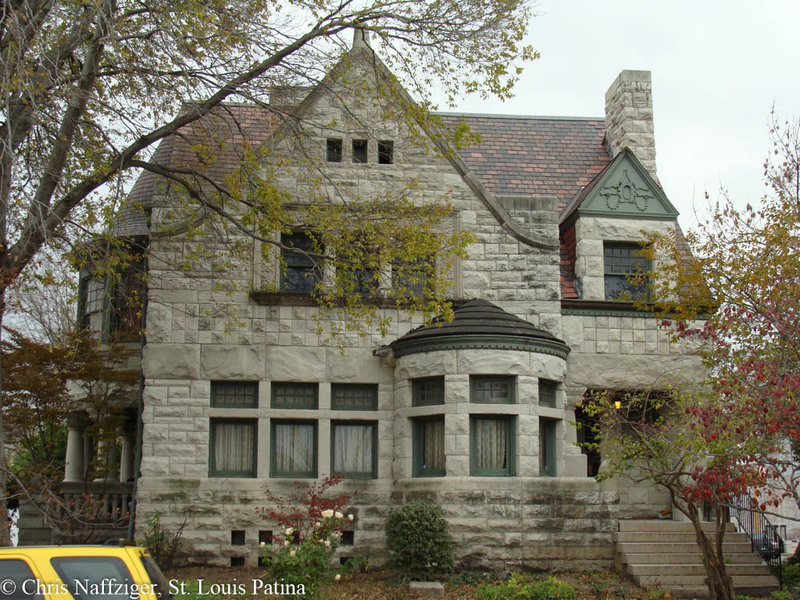 The neighborhood is sandwiched in between Interstate 44 on the north, Gravois on the southeast, and Jefferson on the west, and features a wide variety of architectural styles, including some very old houses that were built around the crossroads of the latter two thoroughfares after the Civil War. The neighborhoods that locals claim to be the “most like Manhattan,” the Central West End was the last major wealthy neighborhood built in the city limits before the affluent of St. Louis continued on into Clayton and Ladue. 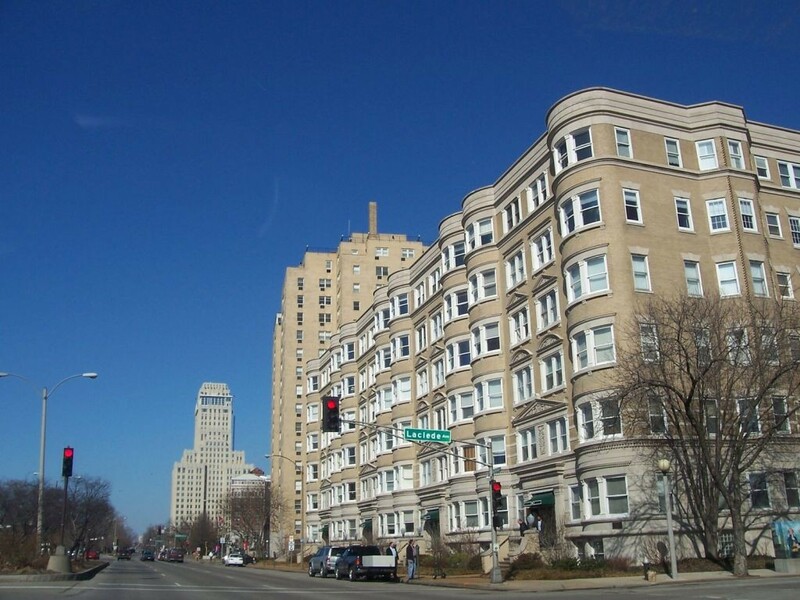 Heavily developed in the excitement of the 1904 World’s Fair in adjacent Forest Park, the neighborhood is a wonderful mixture of private streets lined with mansions and early Twentieth Century apartment towers, as well as the noble skyscraper of the Chase Park Plaza. Easily the most expensive neighborhood in the city, the wealth has propelled an active and bustling street life. Read about the Central West End; see it on the map. The blocks that define the northern edge of Forest Park are often called Skinker DeBaliviere and other names, but I refer to it under the umbrella of Forest Park North. Many private streets, including Westmoreland and Portland Places define the area to the east of the area, while rows of stately houses fill out the western edge near the city limits. Read about Forest Park North; see it on the map. Sandwiched between interstates and two railroad lines, the Grove was once the location of a racetrack, and a sizable Greek-American population. Bisected by Manchester Avenue, the area saw severe decline in the previous decades. Recent nightlife and other restaurants have moved in over the last decade, making the neighborhood the center of the city’s LGBT nightlife. Read about The Grove; see it on the map. Historically known as Compton Hill, the Gate District saw massive urban renewal occur during the 1980’s wiping out a large swath of vacant and deteriorating buildings. In its place came a planned urban community that is stable, low in crime, but devoid of historic context. There are still small pockets of the historic fabric of the neighborhood, but it is slowly disappearing, replaced by vinyl-clad houses. Read about the Gate District; see it on the map. 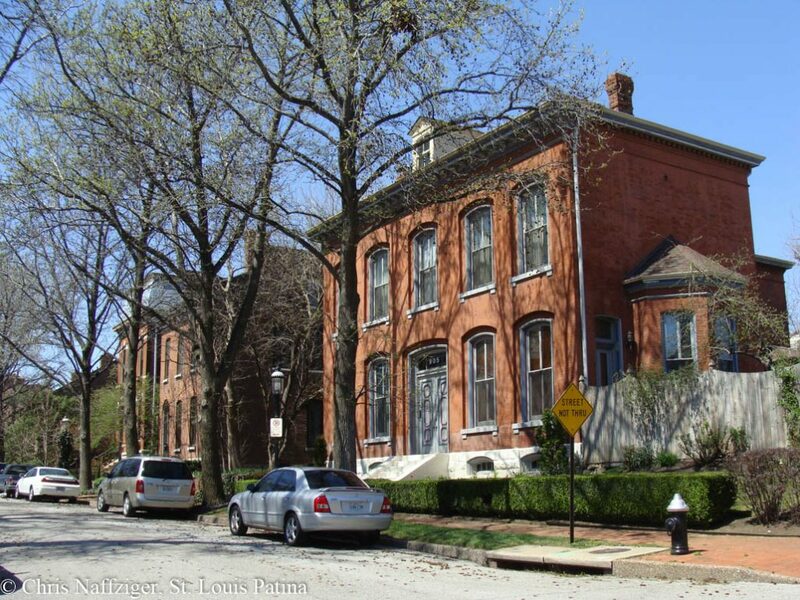 Midtown was the elite neighborhood of St. Louis in the 1880’s and 90’s, as the wealthy fled Lucas Place and Lafayette Square for the large lots and Richardsonian Romanesque mansions of Vandeventer Place and other side streets. Later, as the area became more congested with the convergence of numerous streetcar lines, the mansions were replaced by office buildings and theaters, and the wealthy moved further west. Much of the area has been demolished for parking lots, but many streets, including Locust, preserve early car dealership buildings that now house graphic design firms. Read about Midtown; see it on the map. Completed contained within Midtown, Grand Center represents the theater and skyscraper district along Grand Boulevard. 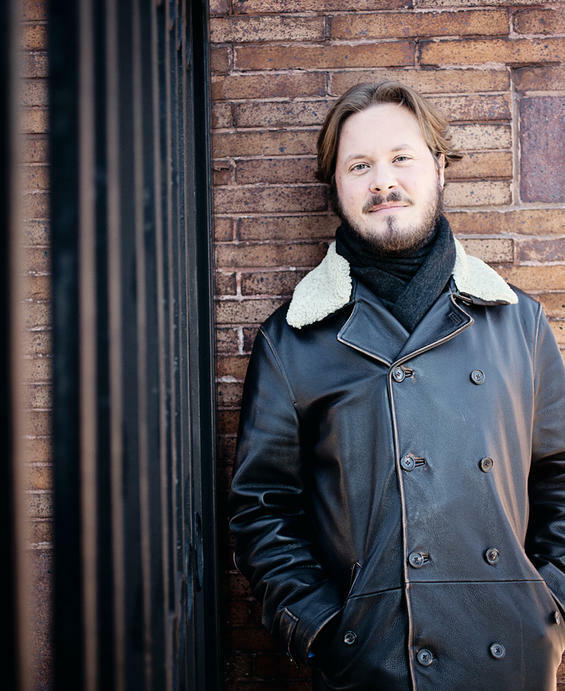 While the district boasts one of the largest concentrations of fine and performing arts institutions in the United States, the area is a dead zone when the theaters are closed, and the acres of parking sit empty. While there are plans for more residential development, for the time being Grand Center waits to become a real neighborhood again. Read about Grand Center; see it on the map. South of the Gateway Arch, and tucked below the Poplar Street and MacArthur Bridges, Chouteau’s Landing preserves some of the last remnants of the first street grid laid out beyond the original settlement of St. Louis. 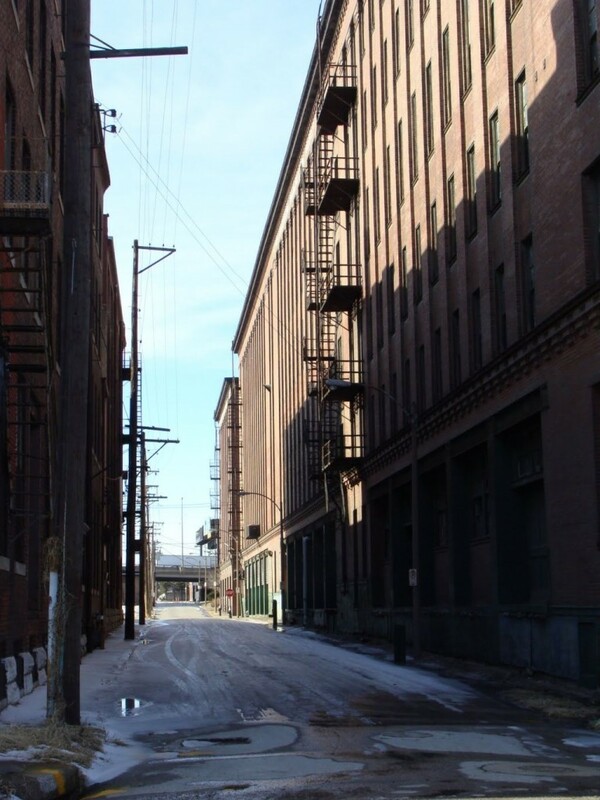 The original houses were replaced by giant warehouses over the course of the Nineteenth Century, and the area now represents the best chance to preserve St. Louis’s waterfront industry, and learn from the mistakes in the redevelopment of Laclede’s Landing. Read about Chouteau’s Landing; see it on the map. 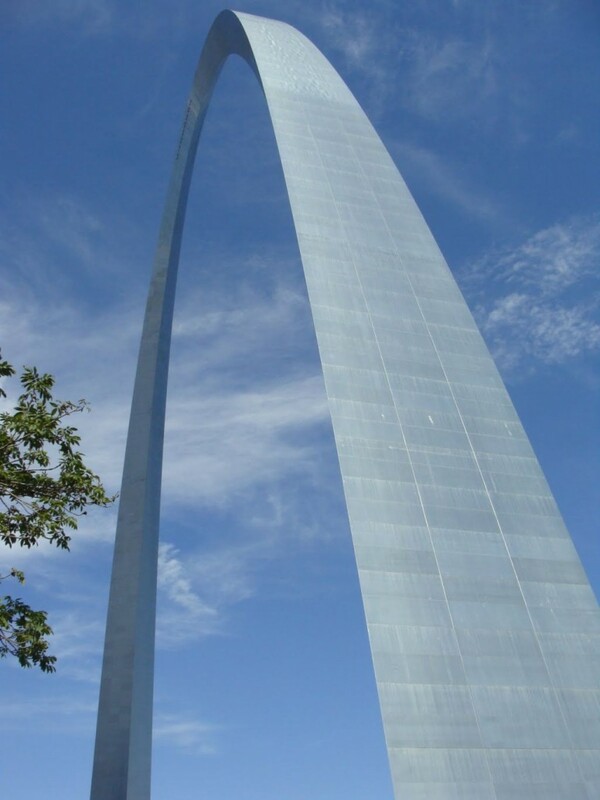 Famous around the world, the Gateway Arch sits in a park that was once the site of the original village of St. Louis, and then later replaced by warehouses serving the riverboats on the Levee. The warehouses and the original street grid were cleared away beginning in the 1930’s, saving only the Old Cathedral; the area served as a giant parking lot until the Arch was completed in 1967. Read about the Arch; see it on the map. 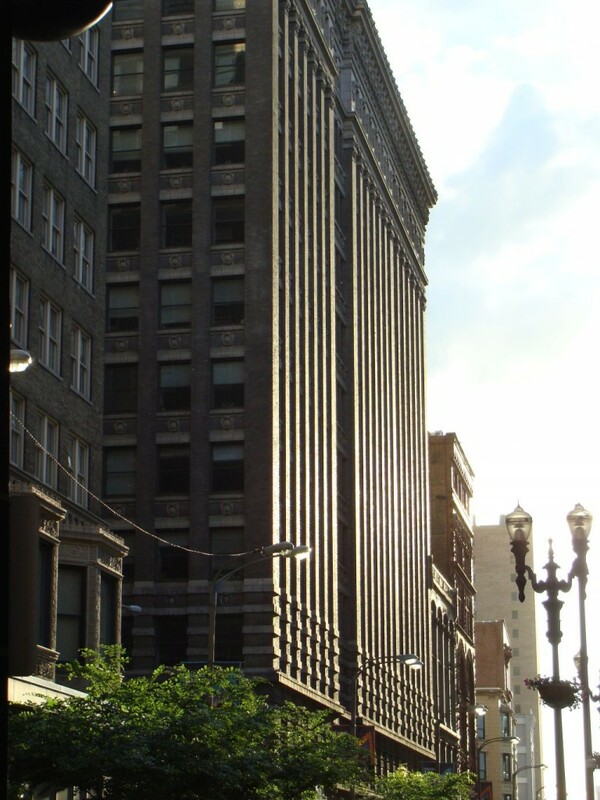 North of the Gateway Arch, and preserving some of the city’s oldest surviving street grid, Laclede’s Landing is now an entertainment district that was redeveloped in the last decades of the Twentieth Century. While most of the area is now parking lots, many wonderful examples of cast-iron storefronts still remain. The future of the Landing now seems less likely as a tourist attraction, and more likely to be a real neighborhood devoid of the bars that have dominated the area for the last several decades. 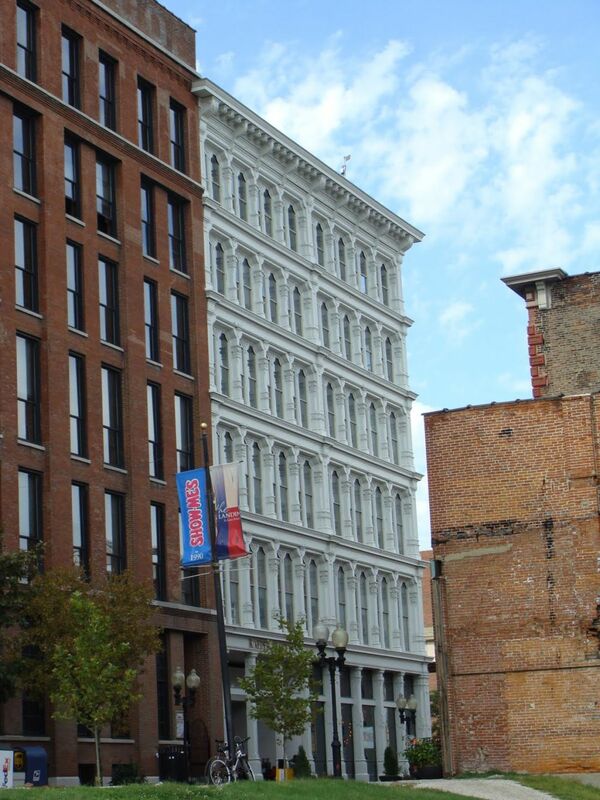 Read about Laclede’s Landing; see it on the map. Built as workers’ homes for the nearby Liggett-Myers Tobacco Company, whose massive factory stretches almost the entire length of the neighborhood on the north side, McRee Town has seen massive demolition for the Botanical Heights urban renewal project, while also seeing a rebirth in its western side under the redevelopment of Botanical Grove, which carefully restored historic housing stock while adding sympathetic in-fill. Once one of the most troubled areas of the city, its future is bright again for the first time in decades. Read about McRee Town; see it on the map. The Near South Side, really several small neighborhoods such as Bohemian Hill, has been historically known as Frenchtown. 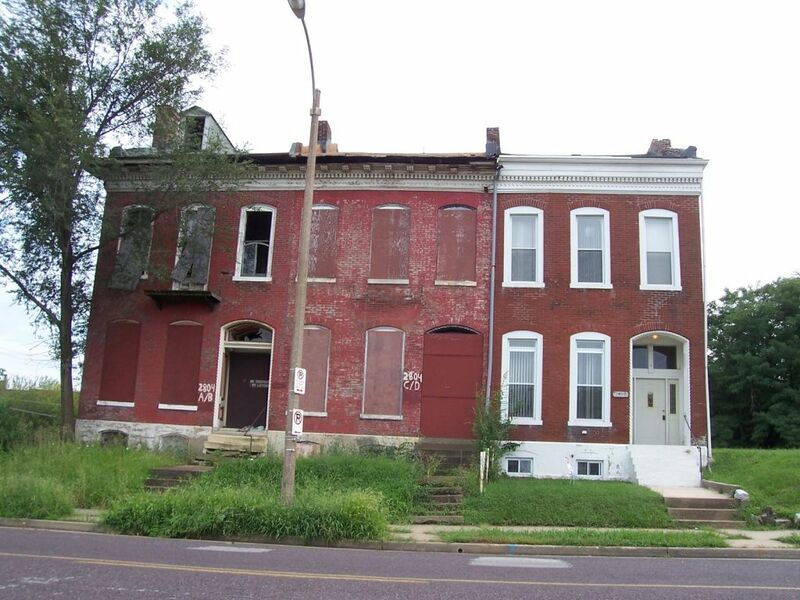 The area possesses some of the oldest buildings remaining in St. Louis, but much of the area has been demolished, swept away for vacant lots, severing the city’s urban context from its downtown. But pockets of beautiful buildings survive, and offer hope of inspiration to how the huge swaths of vacant land may some day be rebuilt in an urban form. Read about Frenchtown; see it on the map. 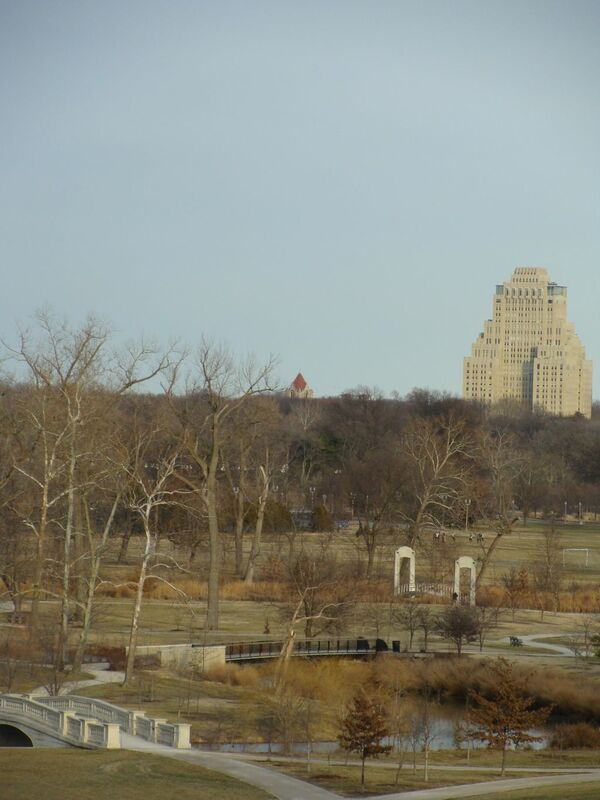 The jewel of St. Louis, and featuring numerous historic institutions such as the Saint Louis Zoo, Forest Park was established at a time when the city’s development still lay to the east several miles. When the western half of the park was chosen as the location of the World’s Fair, urban development spread around Forest Park’s edges. Preserving the curving roads of the park’s more idyllic days, Forest Park is the city’s largest park. Read about Forest Park; see it on the map. 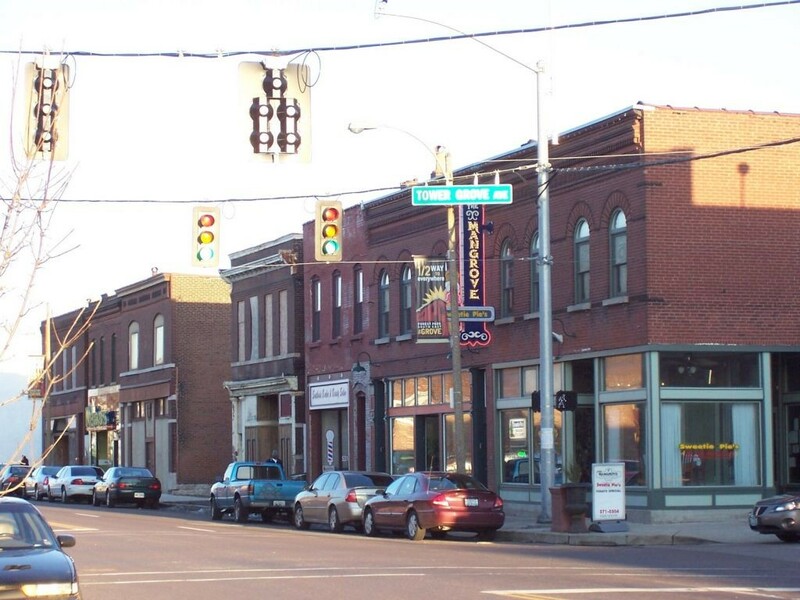 Defined as the area on either side of Grand Boulevard in between Highway 40 and I-44, Tiffany is a neighborhood caught in between other more popular and well known parts of town. 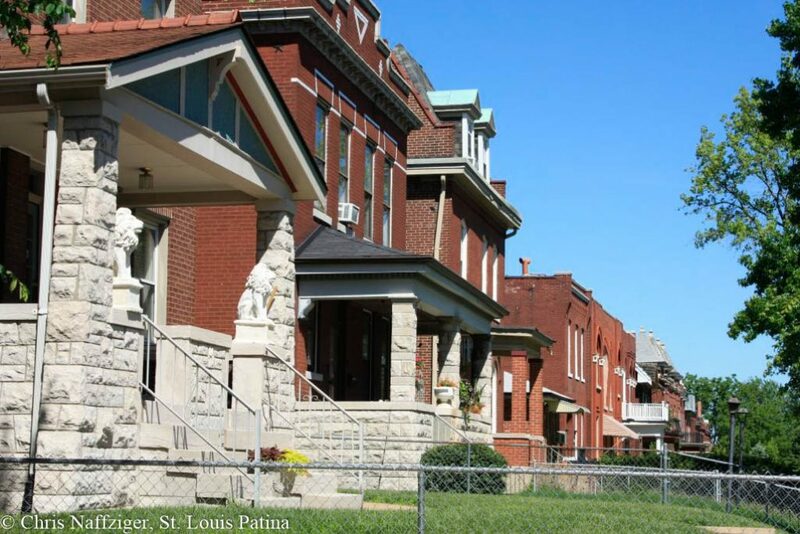 Much of the area has been demolished for Saint Louis University, but several pockets of houses survive. I debated not even including this neighborhood due to its poor state of preservation, but it still retains a distinct if damaged character. Read about Tiffany; see it on the map. 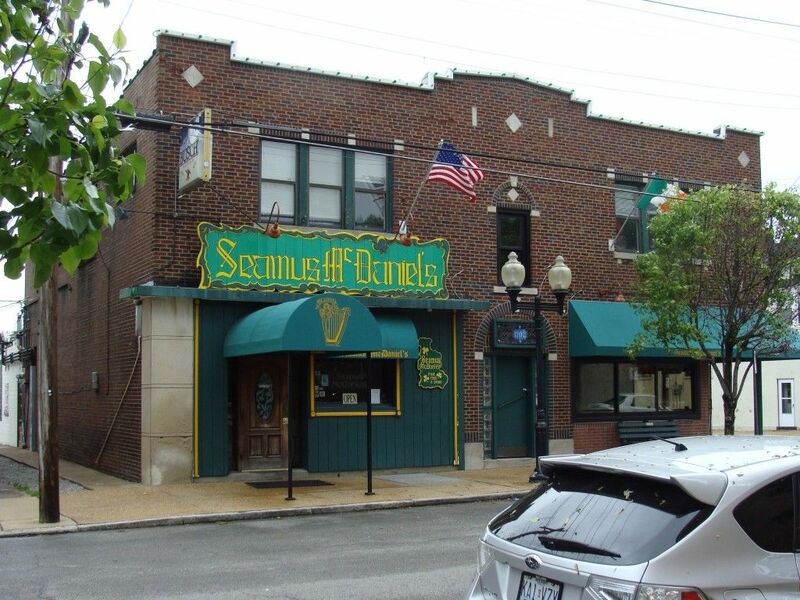 Famous for its Irish-American heritage, Dogtown sits on the far western edge of the city, with an interesting mix of architectural styles spread out over the decades. 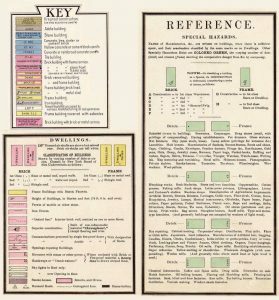 Presumably the neighborhood received its name from the dogs tied in the yards of Irish workmen’s houses that were left to protect their homes while they headed south into the Cheltenham area to mine clay for St. Louis’s red brick. Read about Dogtown; see it on the map.